Great events, most beautiful memories, best pictures – kinderdiary captures them all. kinderdiary preserves and reminds of all the precious moments in your children’s lives that otherwise would pass out of mind. 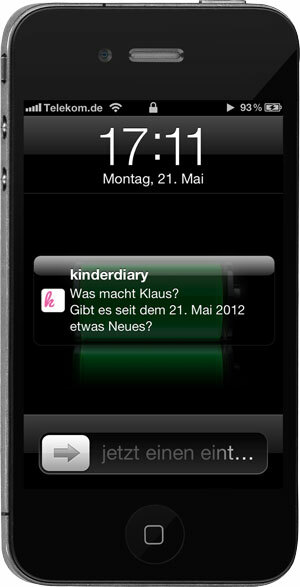 Over time, kinderdiary becomes your vibrant daybook, with precise date and time, with pictures, videos and a lot more. All your children and entries at a glance! With a single click you can sort them to date or child. Dates and locations are set automatically. Add text, images or videos to every child – literally as things happen: First teeth, first steps, first words, funny events and best moments. There is so much to remember! Turn on the automatic notification and catch up with what happened during the day or week. Even at busy times, you can’t miss anything again. It’s so easy: Start with setting up a child with name and birthday. Tap on the grey baby and add a photo. Now you are ready to go. Share great moments with friends and family, with a single click on the SHARE button – via Twitter, Facebook, email and other social media. Your entries don’t get lost. They are safely stored in kinderdiary. 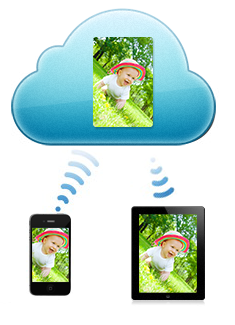 Activate the Apple iCloud: It will automatically synchronize and back-up your iPhone, iPad and iPod. No matter where you are, all your devices are fully up to date. And even if you lose a device – your memories stay securely stored in the cloud.